Knights of Pen and Paper 2 is ranked in the 73rd percentile of games scored on OpenCritic. If anything, what was already a pastiche of a rather traditional fantasy RPG has been taken down an even more classical route. It's a story of kings, princesses, castles and dragons, as the gates to Expandria quickly get forced open, and you head off to investigate reports of a large explosion behind the wall which had kept this area off limits so far. A heady mix of expansive story, engrossing combat and silky gameplay makes Knights of Pen and Paper 2 a must for RPG fans looking for adventures on the go. GREAT - Knights of Pen & Paper 2 Deluxiest Edition brings everything great about the series to the Nintendo Switch. Tongue-in-cheek humor is present every step of the way, and accessible gameplay with fun quests hold this game together wonderfully. 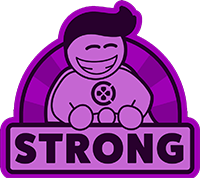 Players will be delighted at how expandable this game can be with the amount of content that is offered using the in-game currency too. Some minor bugs and slight clunky controls aren't enough to mar the experience. I'd definitely consider this a staple game on my Nintendo Switch. Overall Knights of Pen & Paper 2 is a well made turnbased RPG with a great balance between depth and simplicity. This is couple with often hilarious dialogue that is guaranteed to make you chuckle your way through this often beautiful retro adventure. 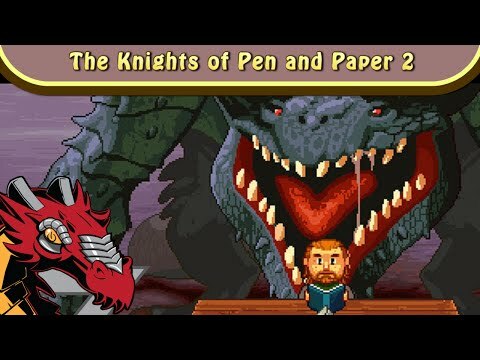 Knights of Pen & Paper 2 is an RPG tabletop game where the imaginations of the dungeon master and players come to life in a great and original take on the experience. I wish I liked Knights of Pen and Paper 2 a lot more than I did. It has a lot of charm and heart — I can see it in the gorgeous pixel art and in all the neat jokes and references built into Paperos. But it just isn't very fun to play. If you happen to be in that cross-section of being both a tabletop player and an RPG fanatic, it might be worth checking out. For everyone else, however, your time is better spent elsewhere. Overall, Pen and Paper was a mixed experience. I enjoyed the concept of the game, the fact you have adventures and shenanigans all while sat at the table.